Great Barrier Doors is a family owned and operated business, providing the highest quality Australian Made security doors and privacy screens. We offer an extensive range of security solutions for doors, windows and screens, as well as professional installation and maintenance services. Get in touch today to find out more. Great Barrier Doors is based in Cairns, supplying high quality security screens and doors to North Queensland. We install Prowler Proof security doors and screens which offer superior quality, strength, reliability and Australia’s only welded security screen. 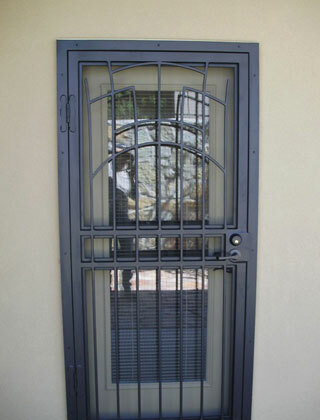 All doors and screens are Australian Made and tested to exceed Australian Standards. From ForceField stainless steel to Diamond and Protec Designs, we have the best solution for your home and business security needs. Our installation and maintenance services are second to none in Cairns and throughout Far North Queensland. From the time you call to the time we install, you can expect prompt and professional service from the experts at Great Barrier Doors. Call 0422 123 381 today to arrange a free measure and quote, or make an enquiry using the online form on the Contact Us page. To explore our high quality products and the services that we offer, feel free to browse our Products and Services page, have a look at some product videos, or call us today. We’re happy to take measurements and offer obligation free quotes. If you’re unsure about what kind of screen or door you need installed or what would best fit your home or workplace, just ask Great Barrier Doors to have a look at your space and recommend an appropriate and affordable solution. All our products come with 10 year warranties, so you can be certain that you’re getting the highest quality. For professional and experienced security door and window installation throughout Northern Queensland, you can count on the experts at Great Barrier Doors. Get in touch today to arrange a free measurement and quote by calling 0422 123 381. Or make an enquiry using the online form on the contact us page.